Flip and Sew Christmas Stockings w/Gloria H.
Let's make some gorgeous Christmas stockings with the flip and sew method. These whip up fast and the sky is the limit on what you can create. 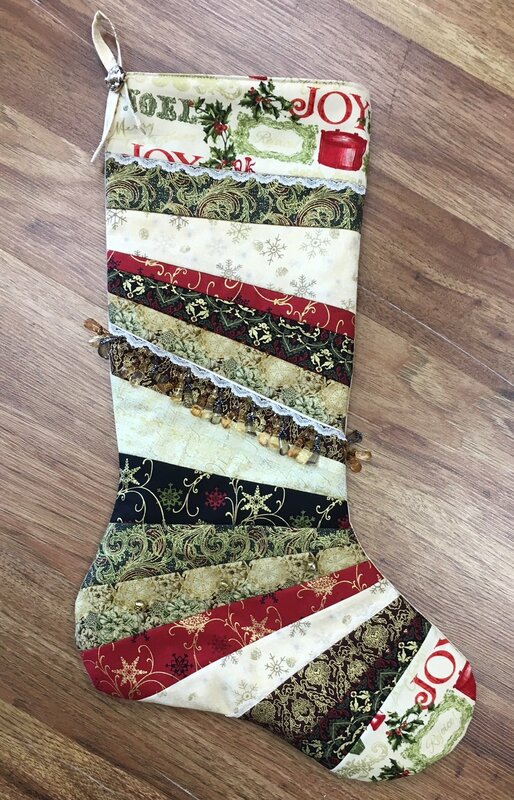 You can make it a "Christmas" Christmas stocking with some of TSQ's new Christmas fabrics or a theme stocking with your favorite colors, sports teams, racing team - you name it. You can accessorize them as well with lace, rick rack, buttons, bells and more. They are so much fun to make that you'll be creating one for every member of your family like my daughter and I did. So join us at TSQ and let's make some Stockings.